Boeing says engineers are resolving concerns with the mass and aerodynamic shape of the company’s CST-100 Starliner commercial crew carrier, and officials are optimistic the spaceship will be ready to deliver astronauts to the International Space Station in early 2018. According to Ferguson, Boeing engineers are wrapping up analyses of two design concerns that combined to trigger a delay in the first CST-100 crewed test flight from late 2017 until February 2018. One issue involved the mass of the crew capsule, which outgrew the lift capability of the United Launch Alliance Atlas 5 rocket selected to put it into orbit. 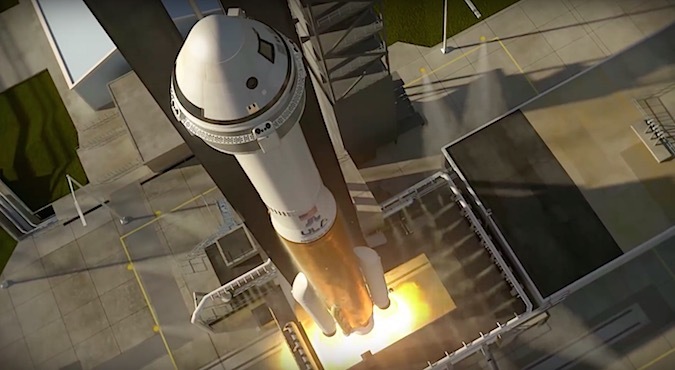 The CST-100 Starliner will ride an Atlas 5 rocket with two solid rocket boosters and a dual-engine Centaur upper stage, and although Boeing and ULA engineers considered adding a third strap-on motor to compensate for the capsule’s extra weight, managers now have the spacecraft back under its mass allowance, Ferguson said. “There’s a certain percentage below the lift capability of the Atlas 5 we were aiming for, and then there are natural margins with mass growth allowances that you always put in, just in case you get some surprises at the last minute,” Ferguson said. Ferguson said Boeing has a model of the Atlas 5 rocket and CST-100 Starliner in a wind tunnel to verify a change to capsule’s outer shape devised to overcome higher-than-expected aerodynamic launch loads discovered in testing. “They had one issue, a non-linear aerodynamic loads issue, where they were getting some high acoustic loads right behind the spacecraft,” said Phil McAlister, head of NASA’s commercial spaceflight development office in Washington. Atlas 5 rockets carrying the Boeing crew ship will encounter different aerodynamic and acoustic environments than on normal satellite launches. The CST-100 Starliner will not fly inside a nose shroud on top of the Atlas 5, as other payloads do. Nevertheless, Ferguson said he was happy to have a solution for the mass and aerodynamic issues. 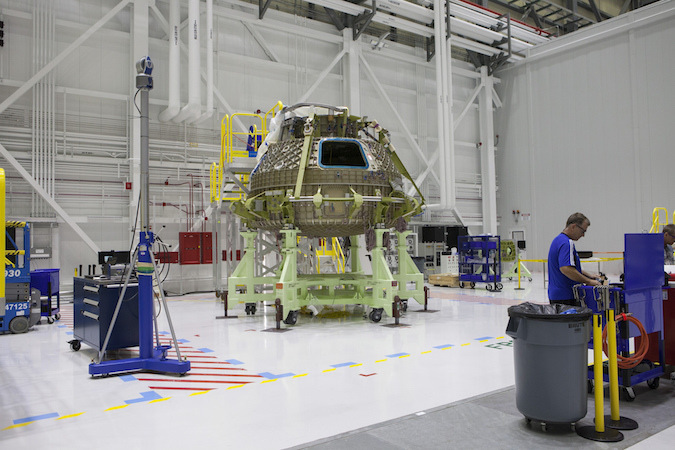 Inside the CST-100 assembly facility at NASA’s Kennedy Space Center, technicians are finishing work on a structural test article of the craft’s weld-less crew module and readying it for shipment across the country to a Boeing site in Huntington Beach, California. Engineers there will add the spacecraft’s outer skin and heat shield. Meanwhile, components of the first flight-worthy CST-100 spaceship are arriving at KSC for assembly of a capsule destined to fly on a pad abort test next year. 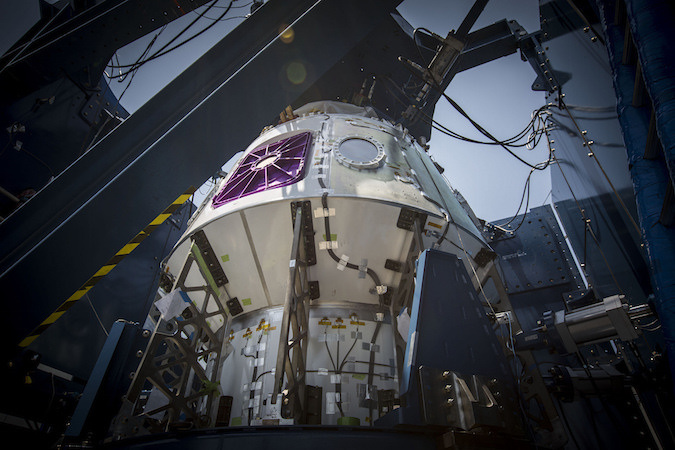 That capsule is dubbed the qualification test vehicle, and it will be the first Starliner unit to include the avionics, computers and many of the other systems needed for flight. The qualification capsule will not have the environmental control and life support systems required to support human passengers, Ferguson said. “The avionics, the items that have to go through qualification, the pumps and fans, they start showing up here in late summer, and then we’ll integrate them into the first spacecraft that we fire up and see how it performs as an integrated system,” Ferguson said. The first power-up of a CST-100 spaceship on the ground is expected late this year, with tests continuing into 2017. “Hopefully, if everything goes well, it’s just a matter of following the instructions that we set forth to assemble the remaining two which will become the Orbital Flight Test and Crewed Flight Test vehicles,” Ferguson said, referring to the spaceships that will launch on Boeing’s unpiloted and piloted demo flights. The CST-100 qualification unit is not expected to fly into space, but Ferguson said Boeing has the ability to upgrade it for orbital missions if required. Qualifying each CST-100 component, both individually and at the full spacecraft level, is one of the big jobs on the Boeing team’s docket, and that work does not get the attention of a flight test. Officials from SpaceX, NASA’s other commercial crew transportation provider, have been less public about the problems, if any, it has encountered in the Crew Dragon program, but NASA officials said they are happy with both contractors. A Crew Dragon test article has been subjected to structural loads tests this summer to ensure it can withstand the stresses of spaceflight. The Crew Dragon’s second “delta critical design review,” a major milestone to clean up lingering design issues, is due to wrap up in late August or early September, McAlister said. 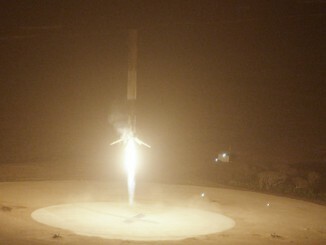 Other major SpaceX milestones coming soon include a full-up test of the Crew Dragon’s life support system, activation of KSC’s launch pad 39A for Falcon rocket flights, and qualification of the capsule’s unique four-parachute landing system. SpaceX currently targets August 2017 for the first piloted test flight of its Crew Dragon capsule, according to internal NASA schedule documents, while Boeing’s similar demo mission with two astronauts is set for February 2018. NASA plans to conduct a major review of the test flights a few months after each mission — in October 2017 for SpaceX and May 2018 for Boeing — before formally certifying the spacecraft for regular crew rotation sorties to the International Space Station. One of NASA’s concerns with SpaceX’s crew program has been the introduction of an upgraded, higher-thrust version of the Falcon 9 rocket. The new configuration burns a super-chilled mixture of rocket-grade kerosene and liquid oxygen. Stored at colder temperatures than normal, the modified propellant mix allows more fuel and oxidizer to fit into the Falcon 9 and gives its Merlin engines more thrust, boosting the rocket’s lift capacity. But the cryogenic propellant must be loaded aboard the rocket in the final half-hour of the countdown to keep it from heating up in the warm ambient temperatures of Central Florida. 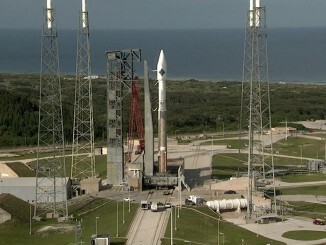 Rockets are normally fueled several hours before launch. 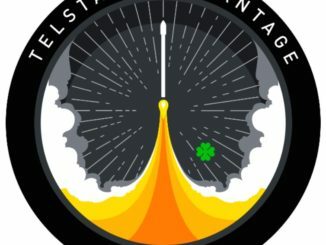 The change means astronauts will board the Crew Dragon capsule on top of the Falcon 9 rocket before fueling, and the SpaceX launch team will pump propellants into the two-stage launcher once the crew members are strapped in their seats. NASA officials were at first uncomfortable with SpaceX’s proposal to load fuel with the astronauts on-board — Soyuz and shuttle crews strapped in once the rockets were already fueled — but McAlister said managers are getting accustomed to the plan. SpaceX had trouble with handling the super-chilled propellants on the first couple of flights of the upgraded Falcon 9, prompting a series of aborts and scrubs during attempts to launch a commercial SES television broadcasting satellite in February. McAlister said Boeing and SpaceX, which signed crew transportation contracts with NASA in 2014 worth $4.2 billion and $2.6 billion, respectively, are “grinding” through their development steps. 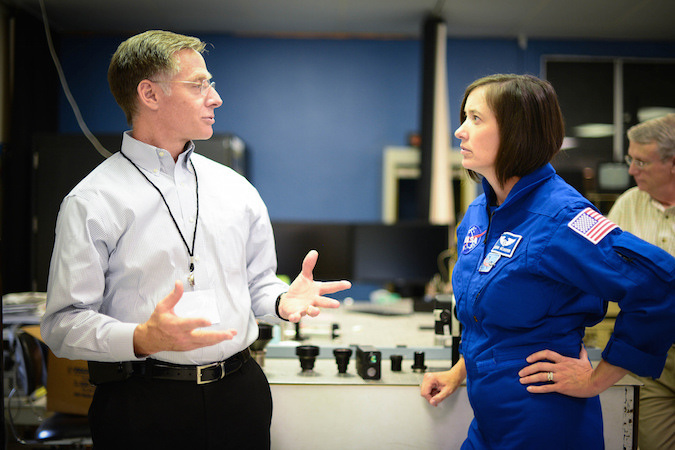 Interactions between NASA and contractor teams have been fruitful, said Bill Gerstenmaier, head of NASA’s human exploration and operations mission directorate. “There’s good push and pull both ways,” Gerstenmaier said, as NASA, Boeing and SpaceX sift through paperwork to ensure both capsules conform with the space agency’s stringent human-rating standards. Despite SpaceX’s schedule, which could allow for operational crew flights by the end of 2017 if achieved, NASA says it will not count on the new commercial spacecraft being ready to send up residents to the space station until some time in 2018. “We’re probably about halfway through, maybe a little bit more than halfway through, the development and hope to be completing both partners in the early part of ’18,” McAlister said. NASA has purchased seats for U.S., European, Japanese and Canadian astronauts to launch on Russian Soyuz capsules through 2018, with return trips continuing into mid-2019. McAlister said that the agency is cognizant of the uncertainty in the commercial crew schedule, and when NASA needs to sign an agreement to purchase more Soyuz seats if required. Members of the committee raised concerns about the urgency of a decision by NASA to buy more Soyuz seats. Wayne Hale, interim chairman of the advisory council’s human exploration and operations subcommittee, suggested NASA had to decide by the end of the year whether to procure Soyuz rides for its astronauts in 2019. McAlister said he is aware of the dilemma. NASA has ordered four full-up crew rotation flights — two each from Boeing and SpaceX — but has not set target launch dates or determined which company will fly station crews first. Each mission is baselined to fly with four passengers, ferrying them to the space station and then returning them to Earth about a half-year later. “The future availability of Soyuz is not certain, so we’re going to continue to monitor that,” McAlister told the subcommittee July 26. “I think we’ve got some (schedule) margin today, so our partners are not feeling a lot of schedule pressure, (but) we want to make them schedule-aware. “We like having that Soyuz backup, but how we introduce the Soyuz vehicle into that flow is something we’re going to have to be very careful about,” McAlister said.